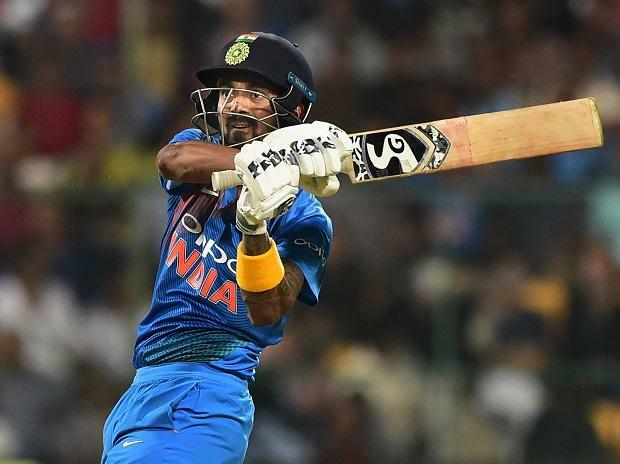 The harrowing time that he faced in the wake of a chat show controversy has "humbled him a little bit", feels opener KL Rahul, who now values his India cap more than ever before. Both Rahul and Hardik Pandya were provisionally suspended for their loose comments on women during a popular chat show. Their bans were later revoked pending inquiry. Asked if the entire controversy has changed him as a person, the 26-year-old said:"It has humbled me a little bit and you know. I respect the opportunity that I have gotten to play for the country. The dream of every kid is to play for the country and I am no different. "Just to value where I am, just to keep making opportunities count and put my head down and keep working on my cricket," said the man from Karnataka. "I got some time off from international cricket, so I could come back to India and reflect on what was not going right for me. Fortunately, I got to play some India A games where the pressure is a bit less and where I could focus on my skill and my technique," said Rahul. "I got to spend a lot of time with Rahul Dravid, working on my game and chatting about cricket. He helped a lot in the five games I played for India A. The time I have spent in the middle has helped. It is nice to be back with the boys and back in blue," the relief was palpable as he spoke. Rahul hopes that it is a blessing in disguise that he courted controversy early in his international career. "I hope so. Things happen like I said. Four-five years with Team India . Learnt about the game, where I stand as a cricketer, as a person so just try to get better from there and be consistent and keep performing." Rahul admitted that he felt the pressure after making a comeback into the Indian team. "There was little bit of pressure as I have been away from team. But I came into the series with a little bit of runs, so yeah happy to be back." India were not able to defend 190 for four on Wednesday and ended up being outplayed in the series. Local hero Rahul said chasing at Chinnaswamy in the night becomes easier with dew factor playing out. "In the second innings, dew always has an effect. We have seen that in Chinnaswamy. If you see the stadium's history, chasing has been easier. But can't take credit from Glenn Maxwell. "He (Maxwell) played a very good innings. Our bowlers tried their best but with a wet ball, it was always hard," said Rahul, adding that India will have to find a way to contain Maxwell in the five-match ODI series starting on March 2.